Electricity is a very versatile and easy to transport form of energy. It shows its power in the brilliant ear shattering flashes of lightning! It looks “magical” in the blue light of charged air as in St. Elmo’s fire. It can make our hair stand on end! It exists in the nervous systems of humans and animals. Scientists and inventors since the 1600’s worked to explore the principles of electricity. Alessandro Volta, Benjamin Franklin, Michael Faraday, Thomas Edison, Nikola Tesla and many others, all contributed to discovering and transforming this powerful force of nature into a versatile and useful form of power. Begin your journey to explore the phenomenon of electricity. Electricity is energy and energy is power! Take a look around your house and notice how many things are plugged in! Power, as you know it in your home, did not exist 100 years ago! Electricity provides a versatile source of energy for us in many ways. Electricity is energy and energy is the capacity to make things work. Electricity is a secondary energy source manifested by other, primary sources of energy such as nuclear, coal, and water. We take this incredible source of power for granted. Have you ever experienced a power outage? Imagine your life without electricity. Write a brief essay about what your day would be like without electricity, and share it. All material have atoms, and atoms have electrical charges. Protons in the nucleus have a + or positive charge and electrons in the cloud around it have a - or negative charge. Positive and negative charges attract each other. Their attraction to each other is called the Electrical Force, making the positive and negative charges in the atom electrically neutral. The Matter that surrounds us is electrically neutral. You can generate electricity. All you need is a balloon! Blow up your balloon and rub it on your hair. 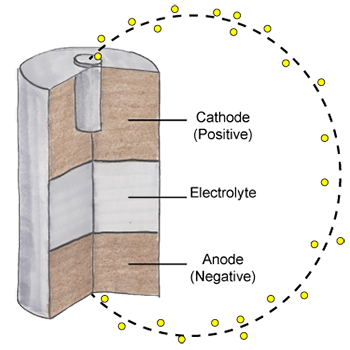 The friction or heat of the rubbing excites the positive and negative charges. Your hair stands up! You are generating static electricity. Check out this Static Electricity Simulation! 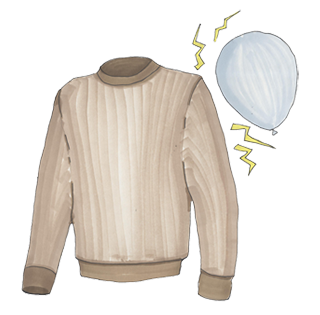 Blow up the balloon; go into a dark room taking the balloon and a wool blanket or sweater or coat. Rub the balloon on the wool item, and you will see sparks fly! You have unleashed static electricity! Watch The Science of Static Electricity! Positive and negative charges attract. They have the potential to move together, but they can only move through materials that allow them to move. This kind of material is called a conductor. Copper and aluminum are good conductors of electricity. Materials that do not allow electrical charges to move are called insulators. For electrical charges to move there needs to be a conductor between the positive and the negative charges creating and completing a path. This completed path is called an electrical closed circuit. Watch this animation and see positive and negative charges releasing energy. When positive and negative charges connect, there is a release of power. To use this energy, a complete connection, or closed circuit, must be created. Draw and diagram a complete circuit noting the conductors (usually wires), the source of energy (a battery or other supplier), and what converts the energy into electricity (a light, radio, tv, car,etc.). If you look at a standard outlet in your house, you will see two slots and a hole centered below the two slots. One of the slots is positive, and the other is negative. You should not put any objects into an electrical outlet, as you could complete an electrical circuit and cause great harm to yourself or someone else. 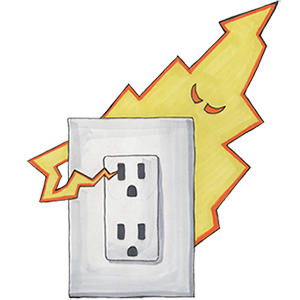 When you plug into this outlet, you are connecting to a source of electricity and completing a circuit. 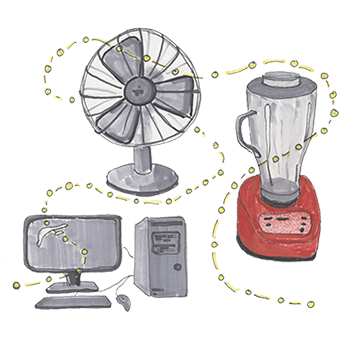 In your home, you have many, many uses for electricity. You use electricity for lights, hot water, computers, televisions, heating, and cooling. In your kitchen alone you will have many appliances that use electricity to do the work that they were designed to do. Count how many electrical outlets you have in your house. Make a chart that shows number of outlets in your house; outlets are single, double, triple or more. Make an equation that shows the number of singles plus the number of doubles (x2) plus the number of triples (x 3) to equal your total number of outlets. Write this equation in your journal and upload it to the gallery! We call a battery, “a source of energy” because it has stored energy inside that we access and use. An electric battery is neutral. The battery has the same amount of positive and negative charges, with the positive charge on one side, and the negative charge on the other. To use this stored energy, we invest energy to activate the Electrical Force allowing the positive and negative charges to come together and become neutral. 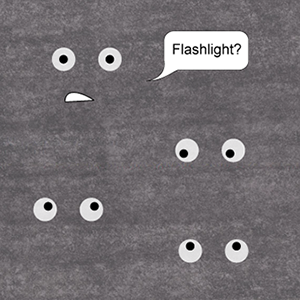 Put batteries in a flashlight, a lamp, a speaker or a motor and turn them on. The charges move through the path converting the potential stored energy (or voltage) in the battery into kinetic energy or moving charges. This kinetic energy, in turn, is converted by the powered device into light (e.g. flashlight), sound (e.g. speaker) or motion (e.g. a motor), etc. Show a closed circuit using batteries as a stored power source turning on a light. Label all parts - the source of energy (the batteries), the energy product produce (the light) and the conductor or metal ends that connect the batteries. Count Alessandro Volta (1745-1827), an Italian scientist, invented the first source of continuous electric current, the electric battery. You can make a battery, too! You will need paper towels, foil, a stack of ten copper pennies, wire, tape and salt water. Follow these steps to make your battery: 1. Collect the materials 2. Wash the pennies (be sure to use soapy water). 3. Cut paper towel and foil circles. Using the penny as a template trace ten circles on the paper towel and ten circles on the foil and cut them out. 4. Soak the paper towel circles in very salty water without ripping them. 5. Make a stack of pennies, paper towel circles and foil circles. Start with a penny, and then add a paper towel and then add the foil. Make as many of these three-ply stacks as you have material available. 6. Stack the stacks into one stack. Take two pieces of wire and attach one with tape to the bottom penny and one with tape to the top foil. 7. Test your battery in a dark room. Touch the two wires together, and you will see a spark. 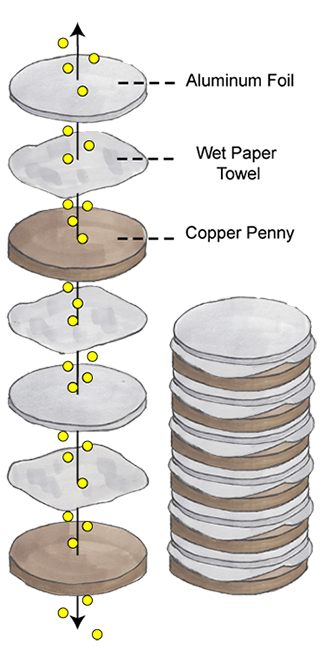 The stacks of pennies, paper, and foil act as cells.’ When you touch the wires together, you have created a circuit. Extra electrons in one metal will move to another metal with less electrons. You have provided the metal and also the salt water that allows them to move. 8. Take a picture of your homemade battery for the gallery labeling all of the parts. Take a look at how Lithium Batteries may become household items for storing energy at off peak hours to offset peak hour electricity use. Electricity flows around the earth in the atmosphere. It is a system that contains electrical generators, currents and TLES in earth’s atmosphere. TLES are Transient Luminous Events. At the present we know about three types, each with different subtypes. Sprites come in the shape of columns and carrots. Elves are huge expanding rings. Blue Jets shoot out of storm clouds. Electricity consists of positive and negative charges. With slow motion film footage, scientists have discovered blades of grass, plants, trees and lightening rods reaching out to connect with these electrical events in surges of lightning. When these charges connect there is a release of power. Electricity as we know it today did not exist 100 years ago! Benjamin Franklin (1706-1790) demonstrated that lightning is electricity. Before electricity, we lit our houses with kerosene lamps, preserved food with large chunks of ice, and kept warm with the heat of our fireplaces and wood or coal-burning stoves. One of the early American founding fathers, Franklin revolutionized the way that people thought about electricity. Rather than simply admiring or fearing lightning, he harnessed its power. In Experiments and Observations on Electricity, distributed in English, French, Italian and German, Franklin’s observations gave terms to a new field. He helped distinguish between conductors and insulators, and proved that electricity was a single “fluid” and flowed continuously in one direction. In 1867 Thomas Edison (1847-1931) invented the incandescent light bulb. In the late 1800s, Nikola Tesla (1856-1943) pioneered the generation, transmission, and use of alternating current (AC) electricity that transmits over much greater distances than (DC) direct current. Tesla’s inventions brought indoor lighting to our homes and power to our industries. Today we harness electricity into usable forms-A/C (Alternating Current), and D/C (Direct Current). Our lives have changed radically with the discovery of electricity. Electricity enables us to accomplish much more with our time and allows us to use less human energy. Make an electricity timeline. Electricity is carried through wires in a closed circuit. The larger the wires, the larger the current that can flow. The three units of current electricity are voltage (V), current (I) and resistance ®. Current is the flow of electrons through a conductor. Volts are the pressure that pushes electricity to move along the current. Voltage is measured in volts. Current is measured in amps. Resistance is the obstruction of flow and is measured in ohms. If you know two of the three parts of an electrical current you can find the other. 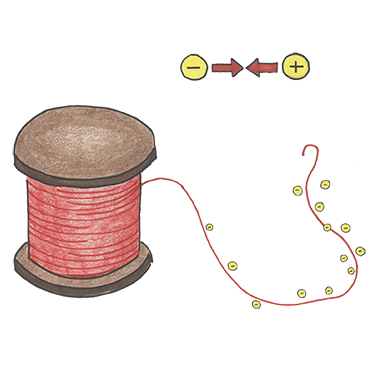 Using the following vocabulary, draw and clearly label the parts of an electric current. The three units of current electricity are voltage (V), current (I) and resistance ®. Current is the flow of electrons through a conductor. If you know two of the amounts you can determine the third. Write these down in your journal and then practice different combinations of them to find out voltage, resistance, current and power. Does your house use electricity? In this exercise you will count how many outlets and how many appliances your house contains. An appliance is a piece of equipment that uses electricity. Appliances are found all around the house, but are relatively new to our definition of comfort. Barely a century ago we had no interior running water, no lights at night, no freezers, no washing machines, no televisions nor computers. Most appliances are designed to save us time. Most appliances use electricity. Make a list of the appliances that are plugged in continuously. 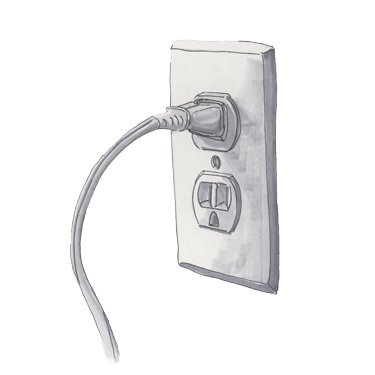 Appliances that are plugged in still draw an electrical current even when they are not in use! This is called phantom energy and is a needless use of power. Next, highlight the appliances you really could live without. Finally, with another color, highlight the appliances that you can unplug when not in use. On earth we create complete connections or paths to use electricity. We call the electricity that moves or flows along a path current electricity. The path is called a circuit. In most communities the electricity comes from a power plant or plants that use other forms of energy to create electricity. Click on the animation to see the process. We harness the power of electricity by using machines that have motors in them called generators. These motors allow this release of energy to be used in a constructive manner. Once the generators have created electricity, the power is set to transformers. The most common forms used are unfortunately non-renewable resources like coal, natural gas and oil that cause a lot of pollution and other environmental and political problems. Some countries are moving from use of non-renewable resources to use of renewable resources such as sunlight, wind, geothermal and hydrology. Draw a picture of the key components of an electrical grid system. Research your local community and locate your power plants. Make a pie chart showing the percentage of plants powered by renewable and those by non-renewable resources. Sometimes there is a storm or an excessive use of power that causes the electrical grid to fail. When this happens, people find themselves without power. You should be prepared. At night this is called a ‘black out’. When large cities have black outs it can be very frightening, especially if you live on the 100th floor and cannot use the elevators! Find out what you need to do in the case of a power failure. Consider loss of light at night, heat, or cooling, food storage, etc. Prepare two lists of emergency essentials. Make a summer list and make a winter list. Scientists and inventors have explored the principles of electricity since the 1600’s. Positive and positive charges collide through the surrounding neutral matter. Positive and negative charges attracting through the surrounding neutral matter. When the surrounding matter is not neutral. An appliance that is turned off, but still plugged in, does not use electricity. 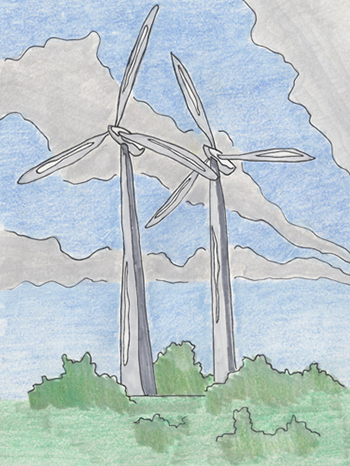 What is NOT a type of renewable resource? Who invented the first source of continuous electric current? 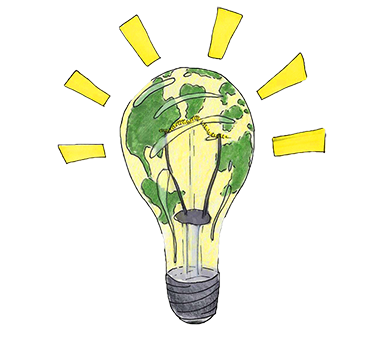 Flash Animations to teach Electricity Very Cool! Teach Engineering Clean up This mess!